After being seriously injured in an accident that was caused by someone else, typically you will be unable to return to work. Facing the prospect of lost income and compensation is one of the scariest aspects of a personal injury claim. However, if your accident was caused by the negligence of someone else, you are entitled to receive compensation for your lost wages. The purpose of this article is to provide general information on the types of compensation you may be entitled to, as well as some information on how you can go about proving your lost wage claim. Remember, just because you have lost some income does not mean that an insurance adjuster (or a jury) will simply take your word for it and write you a check. You will need to actually provide some documentation and evidence of the amount of money that you have lost. The information in this article should not take the place of legal advice from an attorney. If you have questions about your specific situation, regardless of whether the information is covered here or not, you should seek out an experienced personal injury or auto accident lawyer for assistance. Should You Get a Letter from Your Employer? How to Calculate Lost Income if You are Self-Employed? You will notice that we have referred to three specific types of damages in this article. These include lost income, lost wages and lost compensation. Lost income is comprised of both lost wages and lost compensation. 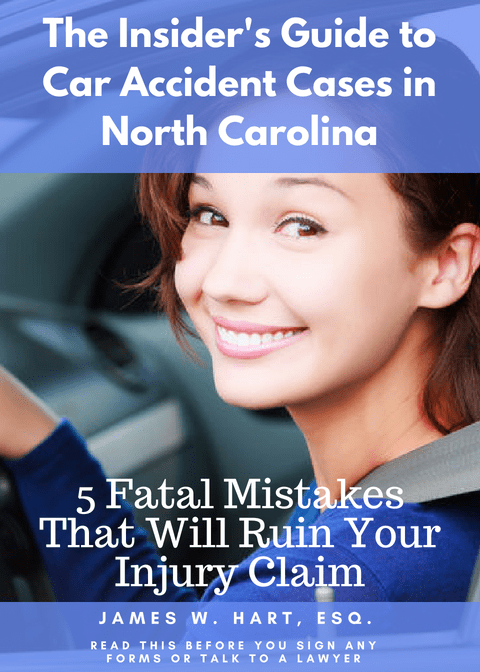 But you must have a firm understanding of what both lost wages and lost compensation mean or you will significantly undervalue the lost income portion of your claim. You must be aware that there is a difference between lost wages and lost compensation. If you are injured in an accident and miss time from work, you will suffer lost wages and you may also suffer lost compensation. The amount of money you are paid on an hourly basis or in salary for coming to work is considered “wages”. When you look at your paycheck and you see that you were paid a certain number of hours or “regular salary”, those line items are the “wages” you were paid. However, when you miss time from work due to an accident, you may still receive a paycheck for the time you were out of work. But those paychecks will not include line items for “regular salary” or hours worked. Instead, they may include line items for vacation, medical leave, or sick days. For most employers, these days will accrue over the course of the year (or years) and when you take them all, they are gone. So at some point, if you don’t have a long term disability policy in place to replace your income, you will stop receiving your checks. Sick/Flex Days. Many employees accumulate sick days that will be used if/when they need them for an extended medical leave. Sick days are a valuable asset, and if unused, are often paid out when an employee retires at the end of the career as a way to thank the employee for their long service. If you had accumulated a significant amount of sick days, these can be a tremendous asset. You shouldn’t lose these days just because you were injured by someone else’s negligence. Every day you use up should be added to your claim for lost compensation. Vacation Days. Like sick days, every vacation day you use to recover from your injuries is equivalent to a day of lost wages. When seeking to recover your lost income, you should add up each vacation day you were forced to use during your recovery and multiply that by your daily wage to determine an appropriate amount of damages. Bonuses. Many bonuses are tied to employee performance and can become a regular part of their income. These bonuses are so regular that they can become anticipated. If you miss significant time from work to recover from personal injuries, however, you will miss out on these bonuses. If you can show that you would have received a bonus but for the fact that you were injured, this should also be considered as part of your lost income claim. Perks and Benefits. This is somewhat of a catch-all category that encompasses any different types of employee benefits such as employee appreciation days, company picnics or parties, use of the company loge at a professional sports arena, and more. If you were unable to make use of any of these benefits, you are entitled to claim the cost of that benefit as part of your lost compensation. It is surprising how many people will overlook these forms of compensation. Sometimes they undervalue the amount of money these benefits could be worth, and other times they don’t want to appear “greedy”. But if your goal is to maximize your personal injury settlement, every single penny counts and should be added to the amount of compensation you are requesting. If you are unable to prove your lost income, then the insurance adjuster won’t pay it. In order to prove your lost income, you must show two things: 1) that you lost wages and compensation during your recovery period, and 2) that the injury was the reason you lost time from work. Neither of these are incredibly difficult to prove if your claim is legitimate and you are an employee at the time of your accident. To prove your lost wages and compensation, you may need a letter from your employer detailing the benefits (including bonuses and fringe benefits) that you lost out on and the number of days your missed due to your injuries. You will also need to provide copies of your W-2 and pay stubs showing your earnings before the accident and after. In addition, you will need a letter from your doctor writing you out of work. The letter from your employer can be a very important piece of evidence in your personal injury claim, and should not be taken lightly. You may want to work directly with your employer to make sure that the letter contains the correct information. It will need to confirm the dates that you were out of work (which should correspond to the note you received from your doctor), and the amount of compensation you missed as a result of your time off of work, and how much you typically would have earned had you not missed that time from work. In addition, the letter should itemize the bonuses and fringe benefits that you would have been eligible to receive had you not missed time from work. If you have questions about what should be included in this important letter, or if you would like additional help and guidance for your employer when they are writing this letter, please seek out the assistance of a personal injury lawyer. If you are able to fully recover from your injuries, then you may not have a claim for loss of future earnings. However, if your injuries were severe enough that you will not be able to return to work, your work will be limited, or you will no longer be able to perform the same type and scope of work you could do before the accident, then you will have a claim for loss of future earnings. Future earnings are tricky and will require the help of an expert witness to prove. This witness will look at all of your current pay and compensation information and project this into the future to come up with a present value of your future earnings and compensation. They will need to present their methodology and findings to a jury and the damage amount can be substantial. For this reason, if you believe that you will have a claim for loss of future earnings, you should contact a personal injury lawyer for help and assistance in pursuing your claim. If you are self-employed, you will have a more difficult time of proving your lost income. That’s because insurance adjusters are often skeptical of people who are self-employed and their is frequently no independent proof that you claims are legitimate. Most everyone that is self-employed will self-report their income. And because you are running a number of expenses through your business there is an incentive to minimize your taxable income in any given year. Whether or not you are able to prove your lost income will depend on whether your income has been steady in the years leading up to you accident. The more steady your income has been the easier it will be to prove your lost income. If you have a more complicated business, you may need the help of a forensic accountant or other expert witness to prove the amount of your lost income. Here are a couple quick things for you to consider when calculating your lost income. First, there is a tendency to over-inflate or “pad” your claim for lost income. But this is a mistake that will come back to bite you if you are caught, often with devastating consequences to your claim. Juries don’t like liars, and if they suspect (or if the defense attorney proves) that you are lying about your claim for lost wages, they will promptly rule in favor of the defendant. Second, remember that your lost income claim is a form of “special damages”. That means that the amount of money you are claiming as lost income will affect the amount of pain and suffering you will be negotiating. So make sure that your claim for lost income is rock solid and can be backed by competent evidence. If you do this, it will increase the overall value of your claim.